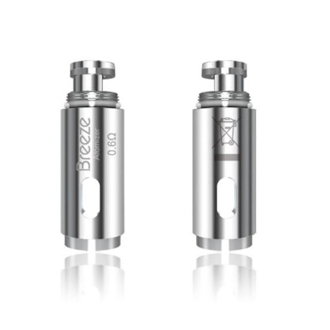 The Aspire Breeze Aio Replacement Coils were made specifically for the Aspire Breeze starter kit. The Aspire Breeze Replacement Coils come in a 0.6 Ohm and are known to maximize your vapors density and general amount. This coil can handle both VG and PG mixed liquids and draw the best possible flavor.